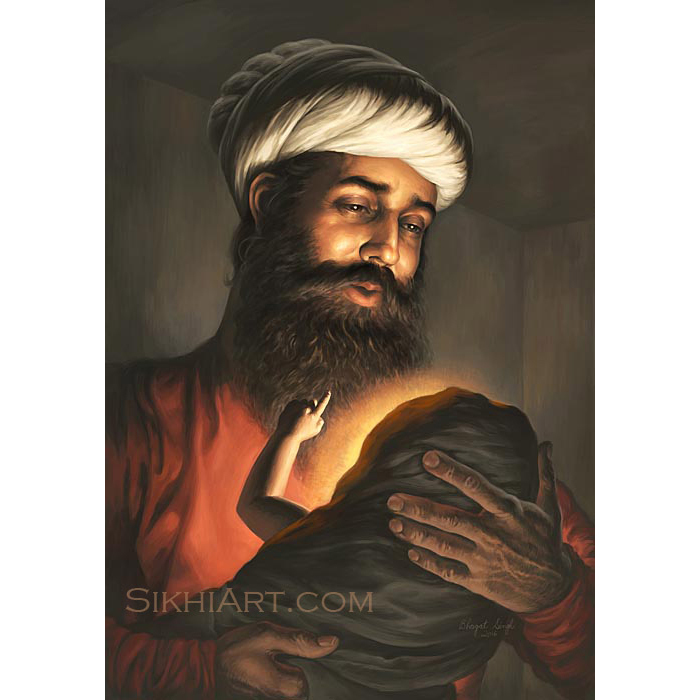 Born in Amritsar in 1872, Bhai Vir Singh ji grew up training and learning Sikh scriptures in gurudwaras. 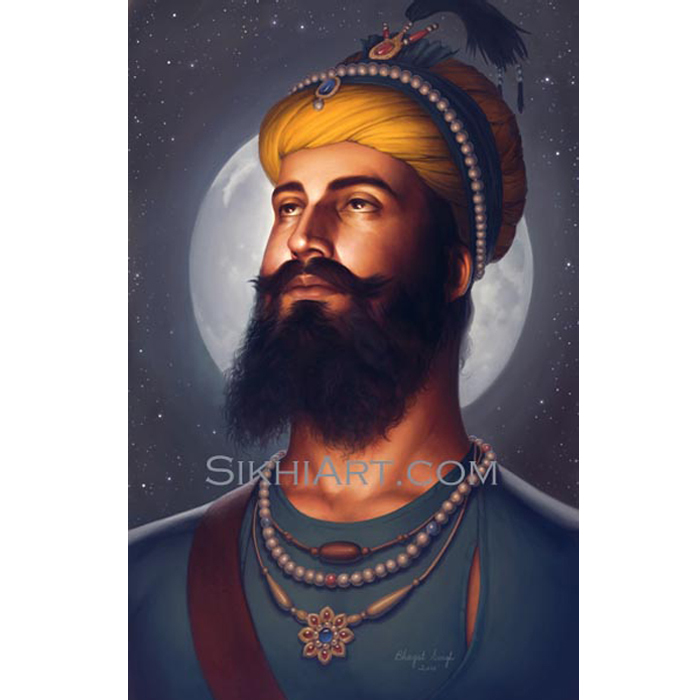 He became fluent in multiple Indian languages, Punjabi, Urdu, and Sanskrit. 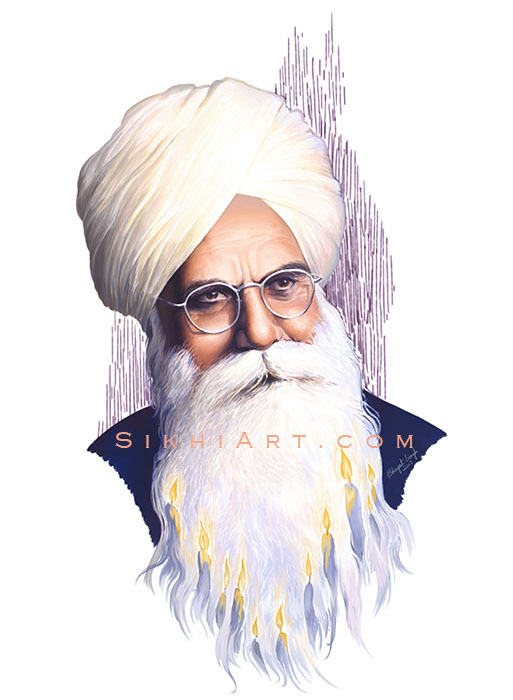 Bhai Vir Singh ji’s father, Sardar Charan Singh ji was also a poet, musician and writer. 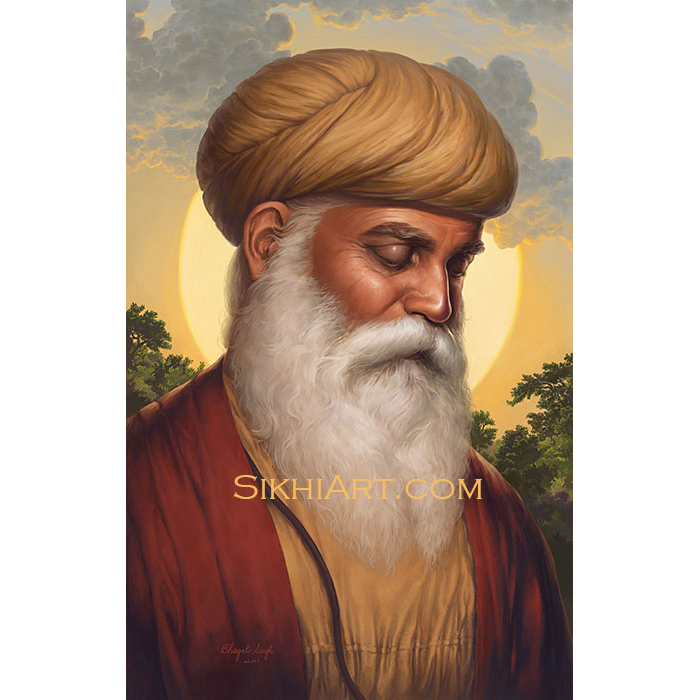 Following in his father’s footsteps, he used his novels and poems to teach the core dogmas of Sikhism. 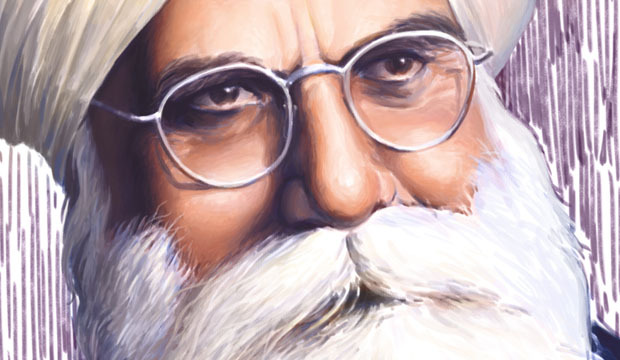 Amidst the foreign and native pressures of politics and proselytizing, Bhai Sahib revitalized the Sikh and Punjabi culture through his literary art. 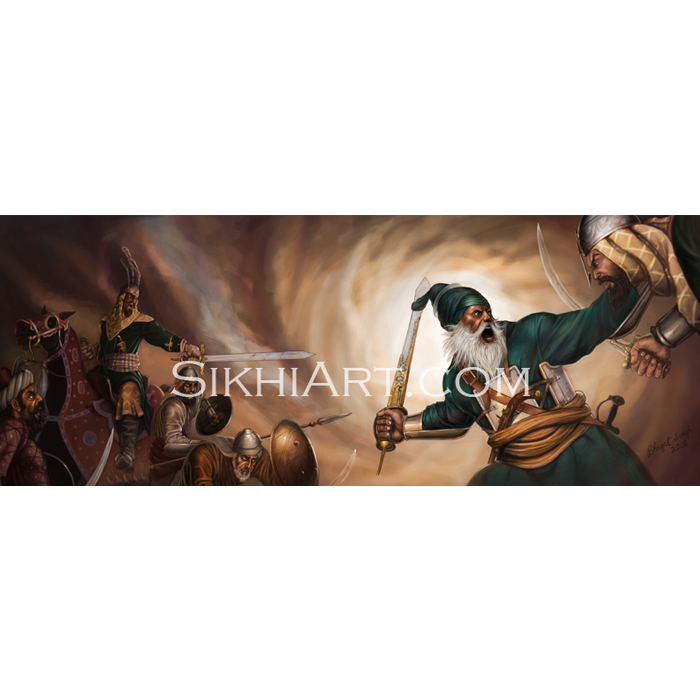 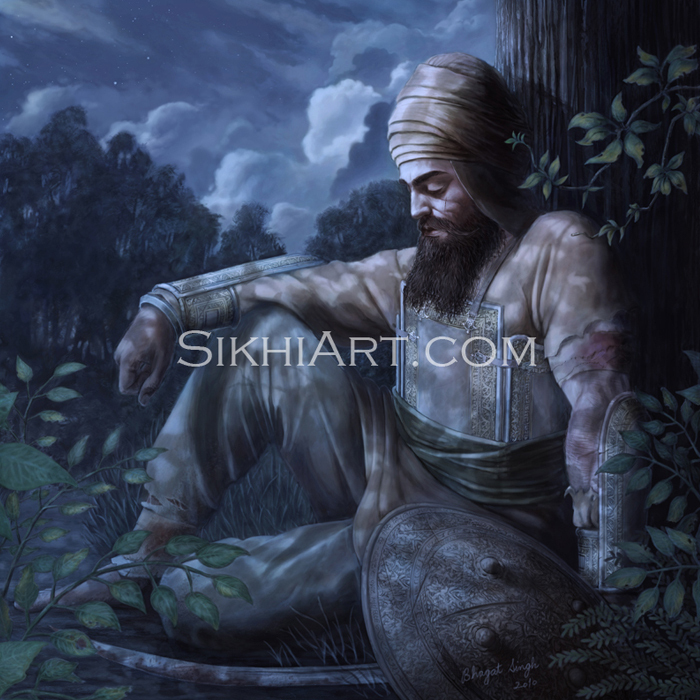 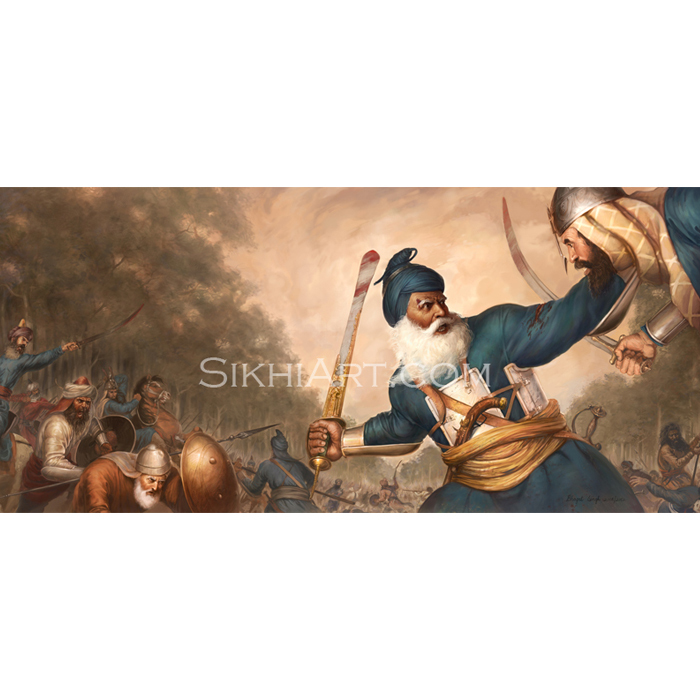 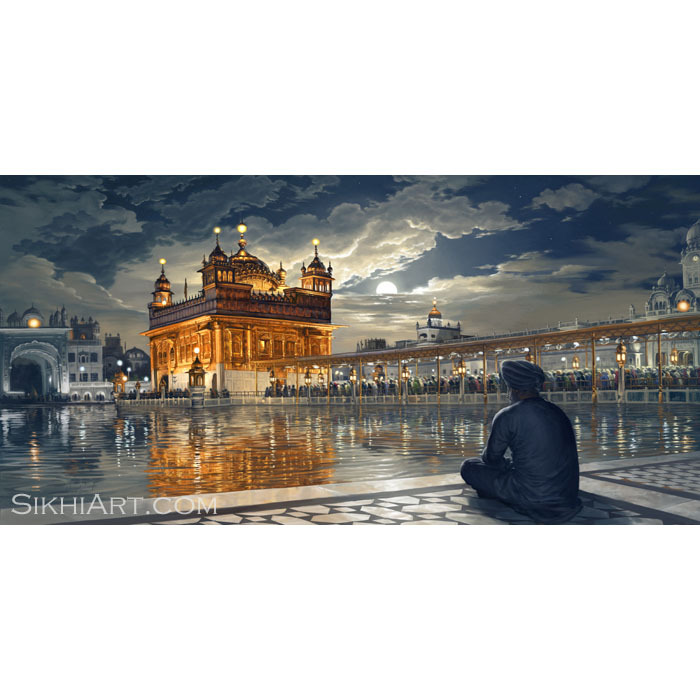 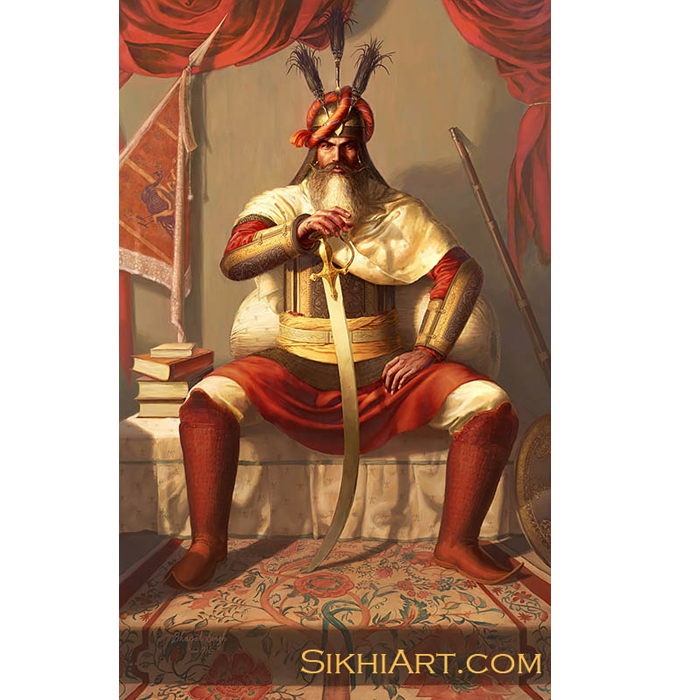 This painting was created upon commission, to revitalize the legacy of Bhai Vir Singh ji. 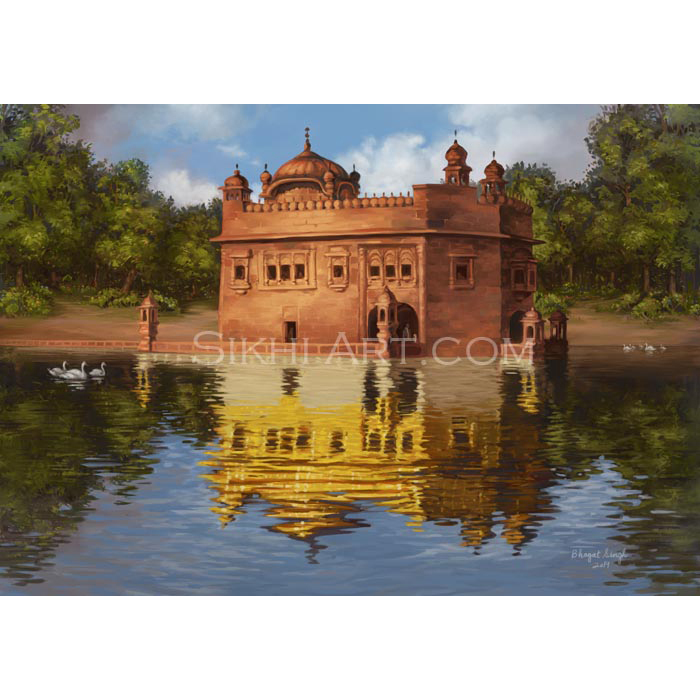 To commission art that enlivens the memory of your loved ones please contact artist Bhagat Singh.